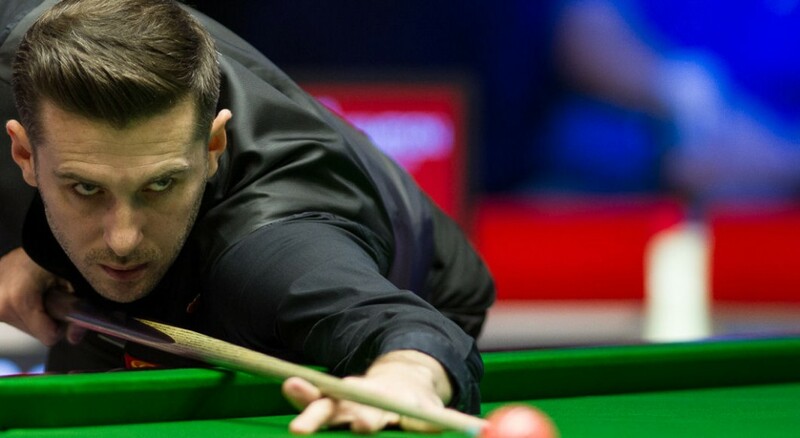 Mark Selby produced a sublime display to defeat China’s Zhao Xintong 4-1 and book his place in the last 32 of the 888sport European Masters in Lommel. The world number one made a remarkable four centuries, as he swept his opponent aside with a virtuoso performance. Selby enjoyed his best ever season in 2016/17, winning five ranking titles including the World Championship. However, after suffering a toe injury during the summer he’s struggled to produce his top form so far this campaign. The 12-time ranking event winner was back to his brilliant best today. He stormed out of the blocks with three consecutive century runs of 120, 116 and 127 to move 3-0 up. Zhao claimed the fourth frame, before Selby got over the line in style with a classy break of 131. He becomes the first player to have ever made four centuries during a best of seven match in a full ranking event. John Higgins played some of his best snooker as he demolished Switzerland’s Alexander Ursenbacher 4-0. It was a second consecutive whitewash over Ursenbacher for the Scot, having defeated him 5-0 at the Yushan World Open. He was in no mood for hanging around today, with the rout taking only 45 minutes. He opened with back to back century breaks of 131 and 109, before further runs of 54 and 76 confirmed the victory. Higgins overtook boyhood idol Steve Davis’s tally of 28 ranking titles by winning his 29th at the recent Indian Open. The four-time World Champion now has title number 30 in his sights. Defending champion Judd Trump wasn’t at his fluent best, but showed enough to see off world number 90 Adam Duffy 4-1. The seven-time ranking event winner lifted the European Masters trophy last year after a 9-8 defeat of Ronnie O’Sullivan. However, if he were to win this week it would be the first time in his career he has defended a title. Home favourite Luca Brecel was once again made to work for his win, coming from 3-2 down to defeat Malaysia’s Thor Chuan Leong 4-3. 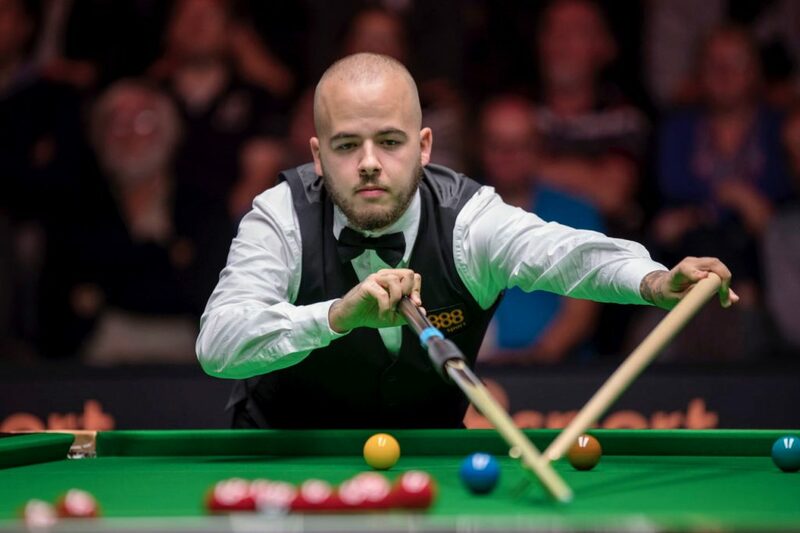 The 22-year-old Brecel, who recently won his maiden ranking title at the China Championship, has shown tremendous bottle in the closing stages of matches this season. Incredibly he has now faced nine final frame deciders this campaign and won all of them. The Belgian will face Chris Wakelin in the last 32. Mark Allen came from behind in an intriguing clash with Iran’s Hossein Vafaei, emerging a narrow 4-3 victory. Vafaei looked to have seized the initiative in the first half of the tie, winning the fourth frame on the black to open up a 3-1 advantage. However, the world number nine responded with a tournament high break of 145 and then a run of 69 to force a final frame decider. Allen then showed his trademark resolve to wrap up the win with a contribution of 84. The Pistol now faces Alan McManus in tomorrow’s last 32. Two-time World Champion Mark Williams overcame Yan Bingtao with a 4-1 victory. The Welshman crafted runs of 78 and 75 on his way to the win. Stuart Bingham was another big name who looked to be in fine touch, defeating Mitchell Mann 4-2. He recorded two consecutive century runs of 119 and 102 during the win. World Seniors Champion Peter Lines recorded a fine 4-2 victory over Riga Masters winner Ryan Day. Lines will now face Thepchaiya Un-Nooh in tomorrow’s last 32.